If you have every tried gel nails or gelish you will know will be addicted to the lasting power and the glossy finish and the sight chipped nails or imperfect nail polish application will make you want to throw away all your bottles of normal nail polish but not to fear the nail polish industry has made really great advances and Yardley is at the forefront when it comes to these. 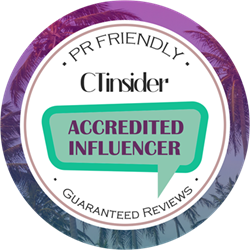 Previously I discussed and loved the Yardley Gel Lac Nails which I discussed over here: https://beautyqueen8.wordpress.com/2015/07/20/yardley-london-gel-lac-nails-gets-a-bottle-makeover/ but now Yardley have come up with even more advances with the now Stayfast pro-uv gel nails. The only visible difference I can pick up is it is more glossy and because it is in the stayfast range it dries incredibly quickly. 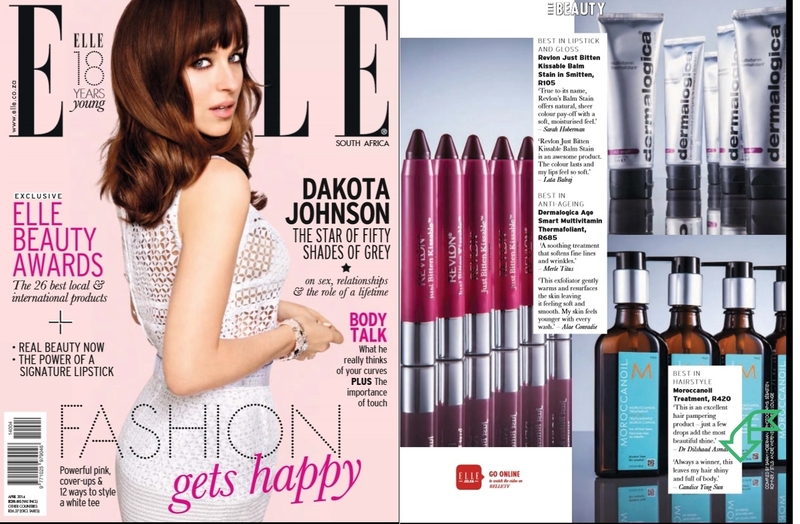 The Stayfast Pro-UV Gel Nail Polish is as close as it gets to professional gels, with no lamp required. To be used as a system with dedicated top coat, so that the formula dries quickly to a film that is 30% harder and more resistant to breakage. Guaranteeing a week of staying power and shine! You are pretty spoilt for choice when it comes to shades as they have covered all the basics. Available in 8 shades: Rebel (purple), Spring Sheen(pink with a hint of orange), Mad Hatter( red with a hint of pink), Magenta, Classic Red and the nudes…Praline, Nougat, Baby Pink. My favorite of the bunch has to be spring sheen, it is the perfect colour for spring it is a pink with a hint of orange. With my constant hectic typing I can say the wear and shine does last 7 days. It always amazes me how many shades of nail polish a brand can actually come up with and Morgan Taylor is one of those that really impress the collections and new colours just keep on coming.Even though I probably have roughly over 400 bottles of nail polish as I always get sent so many I hardly ever come across the same shade of nail polishes. 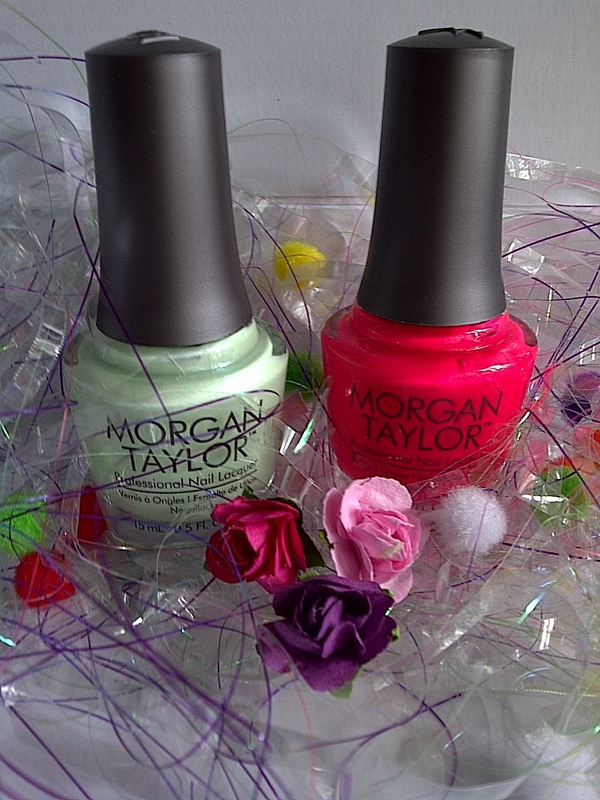 This time around Morgan Taylor’s latest collection which can be found in stores as you read this at either Dis-chem or Sorbet salons for R123 is called “Hello pretty” and I have to say hello pretty indeed! It is inspired by Japanese street style (home of hello kitty) which is very bright, eccentric and eye catching. 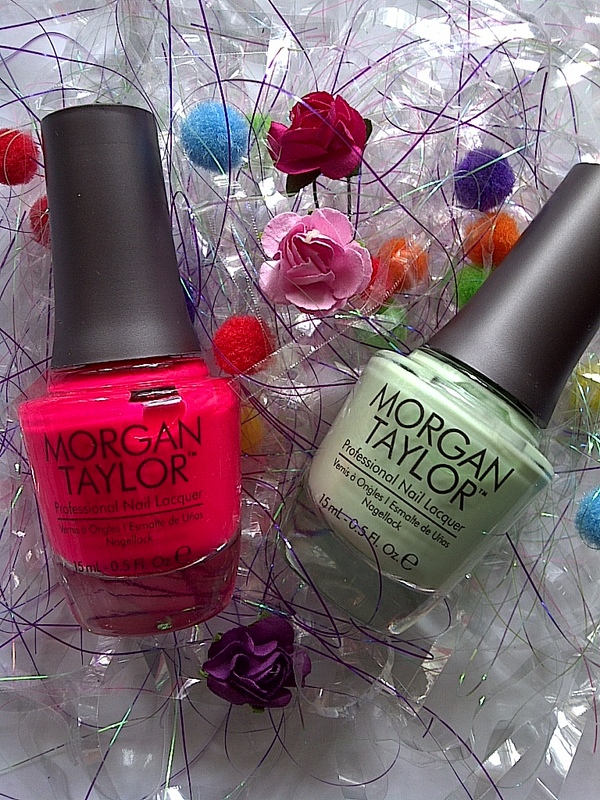 Absolutely perfect for summer where nail polish trends are more bright and bold. Packaging wise these remind me of OPI. The formula is thin but not runny. There are 6 shades in the collection but I was sent 2 shades which I will be discussing below. I haven’t tried the other shades in the collection but both of the ones I tried dried to a matte finish. You have to be quite careful with matte polishes as they have both pros and cons. Pros are they dry quicker almost instantly and they are great as a fashion statement. Cons are they don’t last as long (so capping the nail here is vitally important) because they basically leave out the top coat part of the formula. That’s why in theory some polishes claim that you don’t need to actually apply a top coat after their nail polishes but I still like to do it since it just adds that extra seal over the nail instead of being mixed inside. If you worry about ruining the matte look with the top coat you can buy a matte top coat and then basically turn any normal polish matte. Do you Harajuku? Is a lime green with slight blue shimmer. The blue shimmer is not that noticeable on the nail. This one was quite sheer and it took about 4 coats(even with a white base which is used to help emphasize neon and pastels) to get an even colour on the nail but a really pretty colour still. 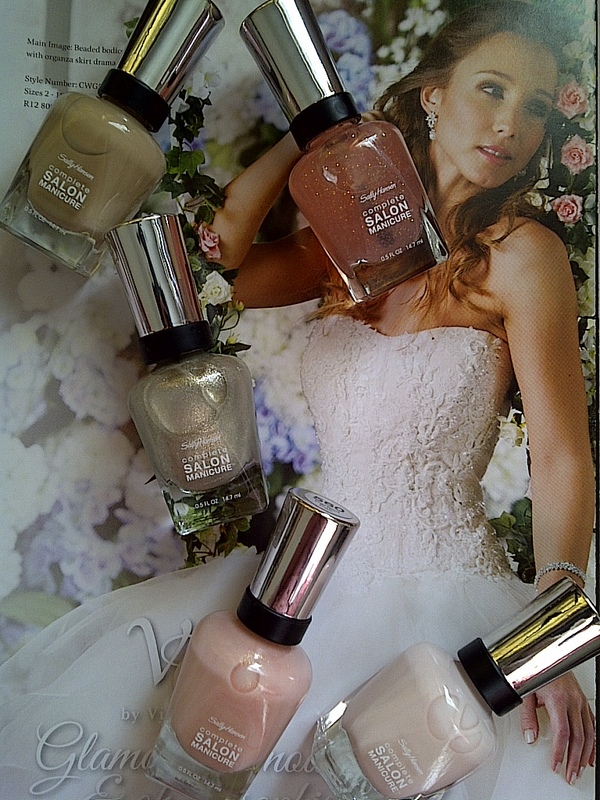 Sally Hansen’s Complete Salon Manicure range has just launched the prettiest nail colours for brides. 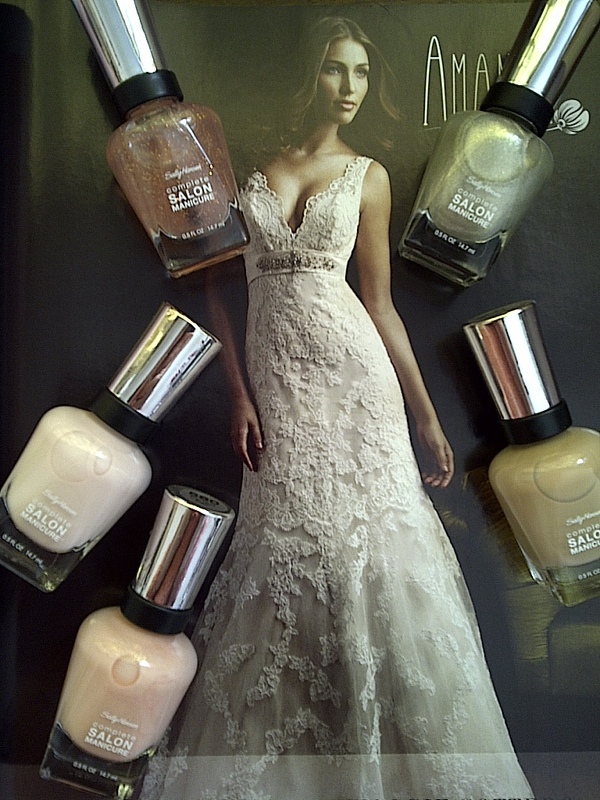 Besides charming colours, the range also includes seven benefits to ensure flawless nails on your big day. 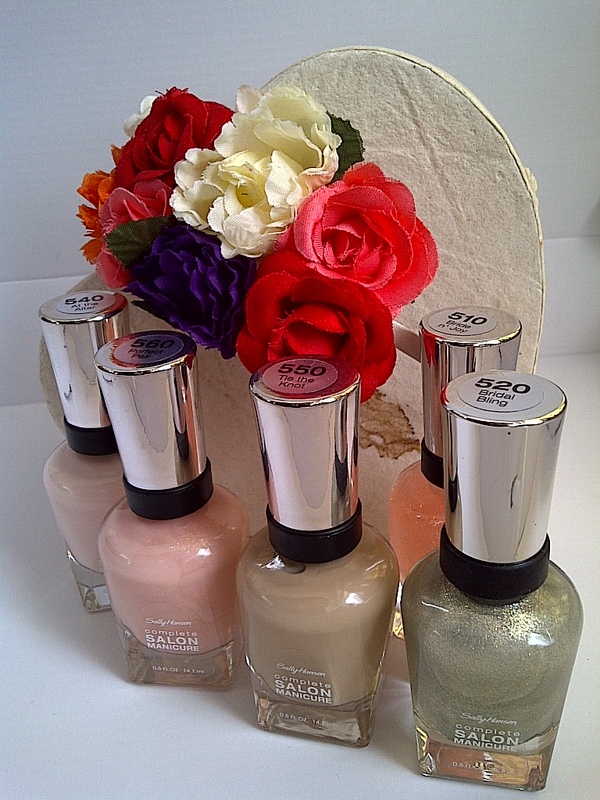 During your wedding day you want a nail colour that is pretty yet understated as to not tear too much attention away from your wedding dress and ring which is why this wedding collection from sally Hansen has just come in time for all the spring weddings. Majority of the colours are nudes and I’ve swatches them below. 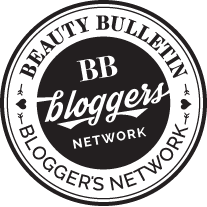 Bride n’ joy: A lightly pink tinted colour with a few specs of glitter, it not that visible on nails alone but offers an amazing shiny top coat on top of any shade. For those of you which were wondering the reason why it is called complete salon manicure is because it is basically a manicure in a bottle it comprises of everything you found ever need a base coat, strengthened, top coat and growth treatment. 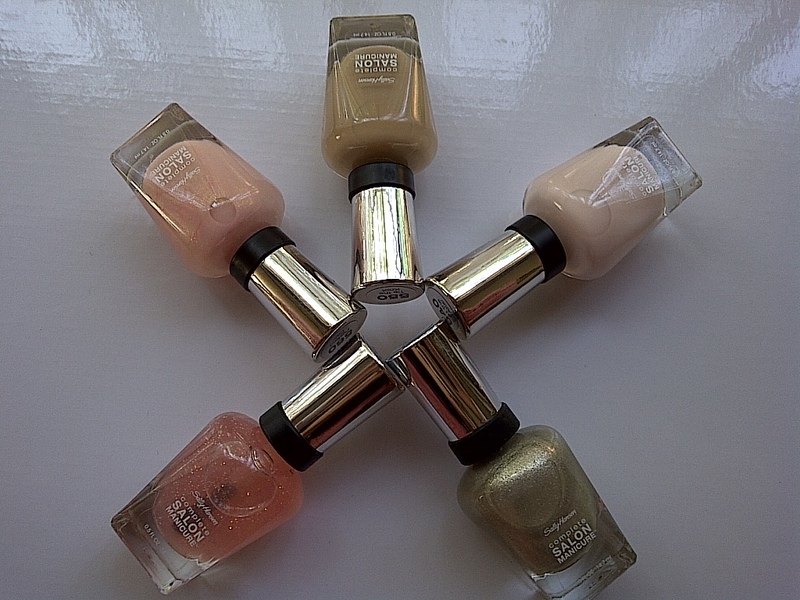 Dries so quickly and the wide brush makes it so easy to glide the polish on with just 1 stroke. Sally Hansen by far yo me has the longest wearing type normal nail polish I have ever tried it lasts around 11 days.